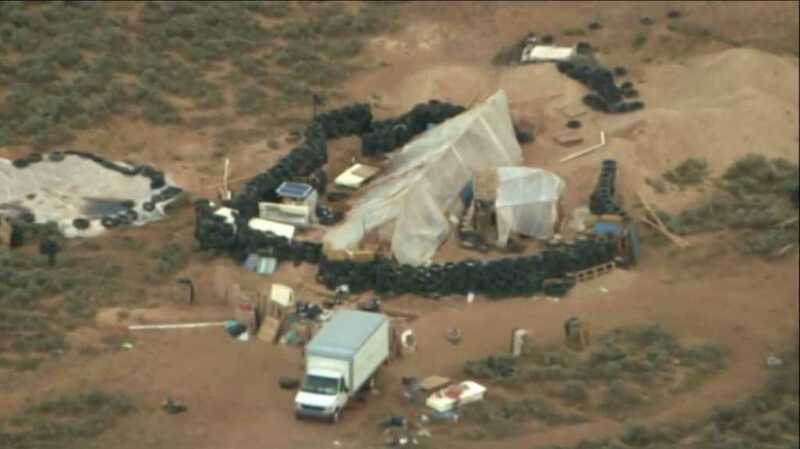 One teenage boy who was living in the New Mexico compound where five Islamic radicals were reportedly recruiting, training, and abusing dozens of children revealed last week that he — along with all the older children — was being trained to commit acts of terrorism. The 13-year-old boy, whose name has not been disclosed, told law enforcement officers that his mother’s boyfriend, Siraj Ibn Wahhaj, was training him to carry out “jihad” outside the compound, according to Reuters. The teenager — the son of 35-year-old Jany Leveille, who police believe to be the terrorist training camp’s leader — said Wahhaj was preparing him and his brother for “jihad,” hoping to one day “get an army together,” an FBI special agent wrote in an affidavit filed last week. Wahajj, according to the young boy, taught him and his brother how to use firearms, including lessons on rapid reloading and hand-to-hand combat. The 40-year-old radical also taught the teens that “jihad” meant killing those who don’t believe in Allah, court documents revealed. The 13-year-old trainee was also forced to watch Wahhaj perform “exorcism” rituals on a 3-year-old boy believed to be Abdul-Ghani Wahhaj, who went missing in December 2017 and was the catalyst for the search that led police to the Islamic compound in August. During one such ritual, the teenager said adults choked the little boy, stopping his heart. The teen said his mother told him they would “all go to jail” if he ever told anyone about what they did to the toddler. In late August, a New Mexico judge dropped the child abuse charges against the five adults living in the compound over a legal technicality requiring evidentiary hearings for suspects within 10 days of being arrested. Three suspects — Lucas Morton, Subhannah Wahhaj, and Hjrah Wahhaj — were briefly released. The FBI immediately filed new weapons and conspiracy charges, re-arresting all five suspects.